Chircher has high hopes for his side's chances. Kip Chirchir is confident that the UAE Under-20’s team can surpass their efforts at the ARFU U20 Sevens Series last season. The UAE head to Malaysia between August 15-16, then to Hong Kong a week later, August 21-22, with the squad set to be announced in the coming days. Chirchir was part of the mixed expatriate and Emirati team that played in the second leg of the tournament in Hong Kong last December and the Kenyan utility forward is hopeful of being on the plane to the Far East once again. 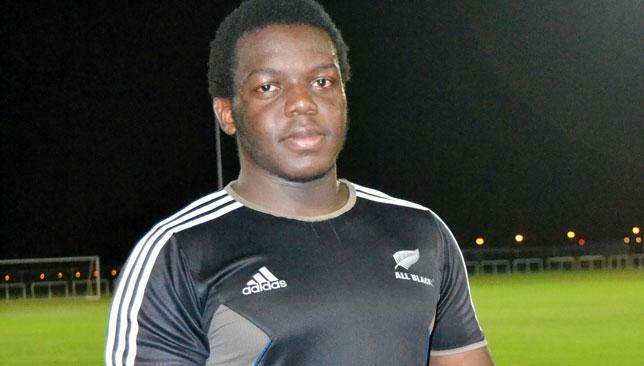 Now that performance manager Roelof Kotze and the national team selection committee have decided to allow expats to join the UAE sevens ranks full time, Chirchir believes the blend of the two can help his adopted homeland progress. “There’s lots of raw talent among the Emiratis but they just need to build experience, said the 18-year-old, who can play prop, flanker or No8. “The UAE is a good place for rugby but it’s not as strong as other places, like South Africa and New Zealand, where rugby is really strong. “I played in December in Hong Kong, which was the first time expats were brought in. As expats we brought experience and I think it’s going to be really good for the local guys. The Dubai English Speaking College pupil has been impressed with the development of the Emirati players since December and is adamant the team is in contention for a medal this time around, having won two of the seven games played in Hong Kong. “From playing with them in December, I sort of had an idea of their talent, but they have surprised me this year,” said the former Dubai Hurricanes youth player. Saracens are hoping to dispose city rivals Quins as the top team in the UAE. Abu Dhabi Saracens latest signing Sean Stevens says he was “drawn” to the club after signing up for the new Premiership season. Sarries officials have spoken of wanting to compete with their more illustrious neighbours for new signings and it seems their West Asia Cup triumph last season may well be paying dividends. The South African centre will step into the void left by departing compatriot Pieter Morton, who last month chose to defect to the Zayed Sports City team. “Something drew me towards Saracens,” said 25-year-old Stevens. “It’s more than just a rugby club. Family is a big part of what they stand for and a club I played for back home had the same ethos. Everyone knows each other, everyone’s friends, everyone’s welcome. I think it’s a good fit. 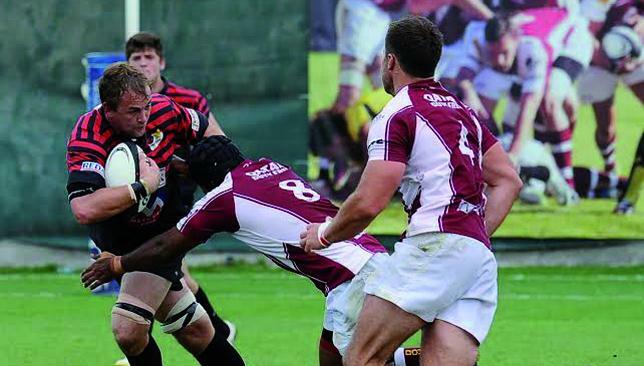 Stevens previously played Varsity Cup and Community Cup rugby in his homeland for Bloemfontein Police and the Central University of Technology, while an ACL knee reconstruction two years ago denied him of a chance to play for Welsh Rugby Union Premiership side Newport. After arriving in the UAE in January, Stevens was sold on the massive development going on throughout UAE rugby by a friend who previously played for Dubai Exiles. That led him to social media and his arrival at his new club. “I went on Facebook, found Saracens and sent them a message. Sarries got back to me really quickly,” he said. Sarries came of age last season, capped by their superb 26-20 win against Doha in the West Asia Cup final in Qatar in March. Head coach Ali Thompson and president Dave Jackson have both stepped down since, replaced by new coaching duo Stephen Hamilton and Craig Nutt and new chairman Jay Danielson, but Stevens sees no reason why that should set the club back. He said: “They won the West Asia Cup last season, which was massive for the club. Craig’s got a good head on his shoulders. Stephen has a good idea about what needs to be done.